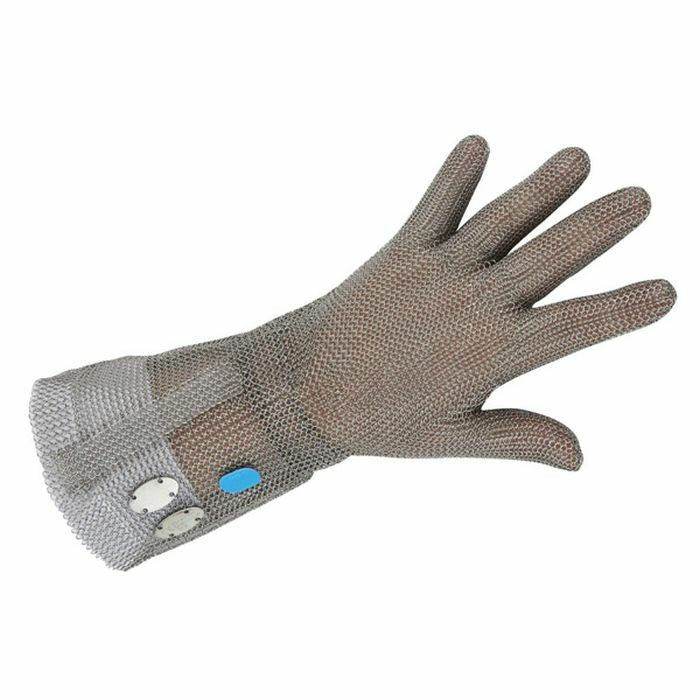 With an extra short cuff for added dexterity, the Honeywell Chainexium Chainmail Glove Short Cuff 253441X-A0302 uses a special chainmesh coat to ensure exceptional cut resistance. The high dexterity, lightweight design and mechanically strong construction make this glove ideal for use with knives, especially in industries related to food and the kitchen. The Chainex Chainmail Short Cuff Glove is available in five sizes that should suit the hands of most users. Please measure the total length of your hand and match up to the table below to ensure a safe and secure fit but please be aware of the cuff length as this does not cover your hand. Please note that the Chainmail Glove should be scrubbed vigorously at least once a day with hot soapy water or in a mixture of hot water and detergent.